An important event in the Constitutional Reform Process was the discussion in the Constitutional Assembly on the first interim report submitted by the Steering Committee. The debate that commenced on the 30th of October and gone on for 5 days brought about very positive views for the success of the attempt to bring about constitutional reforms to meet the twin problems of democratization of the state and national reconciliation. In the constitutional assembly discussion on the interim report, fortunately we did not see the expected fireworks but instead what we saw was a very positive approach towards constitutional reforms. Through many divergent views were highlighted and some very critical comments made. On a study of the constitutions made by our legislators who constituted the constitutional assembly and who are the ultimate decisions makers of this whole process, shows that the most important matter on which concerns were expressed was on the restructuring of the state/nature of the state. It was strange that though this matter has raised as an important matter of deep concern, no deep thinking/study went into this matter. The Public Representation Committee on Constitutional Reforms (PRC) at its public sessions in all the districts made it a point to get the views of those who appeared before the PRC on this matter as we realized that this was a matter of deep concern to the people. Regarding the democratization of the state there was all-round agreement and the only concern was on to what extent social, economic and cultural rights should be accommodated. In the case of the restructuring of the state/nature of the state, divergent views were expressed. Most of those from the North (but not all) stood for Federalism as the solution to the national question while in the South it was the opposite, except for some academics, constitutional lawyers and politically left inclined who appeared before us or made written representations, vast majority were opposed to Federalism and the demand was for an unitary form of government. We did not take this view on its face value but probed deeply to ascertain what they meant by ‘Federalism’ and ‘unitary state’. When we questioned those who stood for Federalism as to why they were for Federalism when under the present constitution through the 13th amendment substantial powers are devolved on the Provincial Councils. The standard answer was that the minorities were not treated equally and the minorities should have the right to decide on their …………. within the areas where they are living. When we probed deeply we saw there were reasons to show that there was discrimination on the use of their language, job opportunities and allocation of resources. When we go deeper into the problem it is seen that the Tamil community has been out of main stream politics since 1956 and they feel that they are not a part of State power and are marginalized. It is seen that the representatives of the Tamil community has not been a part of state power since 1956 though very prominent personalities with Tamil names has held positions even at Cabinet level. Therefore the main problem is the stake the community enjoys in the power structure of the state. When we questioned those who appeared before us in the South, who were for a unitary state as to why they insist on a unitary state the standard answer was that they were against the division of the country, and the country should remain undivided under one government. They expressed the fear that federalism might lead to division of the country. When we probed as to what they feel about the Provincial Council system we found that they were for devolution of powers though they felt that the Provincial Councils has not achieved what was expected. 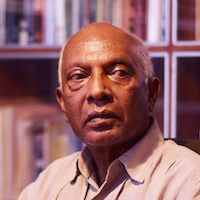 Most important observation is that all the seven Chief Ministers who appeared before us were for devolution and implementation at the 13th amendment fully with some reservations on police and land powers that are vested in the Provincial Councils under the 13th Amendment and what they expressed was that there should be a solution regarding Police powers and land powers vested in the Provincial Council which is acceptable to all. Even at the debate on the interim report in the Constitutional Assembly except for the JHU, there was no serious opposition to the concept of devolution of powers to the general or to the Provincial Council system. The constitutional reforms, if it is to be meaningful, has to end in a new constitution that is acceptable to all sections of the country. It has to be a constitution that can create a Sri Lankan nation with a Sri Lankan identity, which were have failed to create during the last 70 years since independence. We have to promulgate a constitution which will be acceptable to all sections of the people of our country, so that they will proudly say that it is their constitution and they will proudly say that they are Sri Lankans. Devolution of power to deferent tiers of government with the acceptance of the principle of subsidiarity. Entrench clauses protecting group rights. Sharing of power has to be between the center and the periphery as it is under the 13th amendment and in addition sharing of power at the center itself. It is sharing of power at the center that will bring the periphery into governing the country from the center. This can be achieved to a large extend by the establishment of a 2nd chamber composed of equal number of representatives to represent the provinces to be appointed by all the provincial councils through the 1st transferable voting system as was done during the days of the now defunct senate. Other proposals were also made regarding sharing of power at the center, such as having two Vice Presidents from the two major communities to which the President does not belong, and assignment of certain duties to such Vice Presidents. Suggestions were also made that it be made mandatory for the cabinet at the center to have a certain stipulated number of Ministers from different communities. This was not acceptable to many. The positive response to the interim report of the Steering Committee and the six sub-committee reports submitted to the Steering Committee, by the six sub-committees has Paved away it is to move to the next stage in the process for the Steering Committee to prepare a draft constitution for discussion. It is seen that at this stage when moving to the next stage certain corrections has to be made to the process itself. The visible and expressed drawback and the main criticism of the process is that the process is not open and lacks transparency. This drawback in the process has to be corrected at this stage to proceed further towards the ultimate stage of drawing up a constitution acceptable to all sections of the people. 1. In the Steering Committee even as observers representatives named by the President so that the President will be able to play a major role in the process by his being a privy to the discussions and decisions of the Steering Committee and / or Drafting Committee and his views being before the Steering Committee / Drafting Committee. 2. A broad consultative committee for the process to acquire legitimacy a broad consultative committee of persons from outside the political community who has the knowledge, experience and competence to make a contribution to the process, for example, people of the caliber of Jayantha Dhanapala, Dr. Nihal Jayawickrama, Dr. Selverkumaran, Dr. Deepika Udagama, Dr. Harini Amarasooriya to mention a few names to explain my point. The Steering Committee itself should be broadened to include such members of Parliament who can contribute towards the making of a constitution acceptable to a vast majority of the people and more particularly to show that it is not the work of a few but a work of the best minds available. For example we should include people of the caliber of Dr. Sarath Amunugama, Mahinda Samarasinghe, Eran Wickramaratne, Dr. Harsha De Silva, etc. These corrections, is made, will show that it is not the work of a few but the work of the best minds available. What I would like to drive in is that the constitutional reform process to move forward to reach a meaningful end the broadening of the process to bring in a wider section to participate in the constitution making process is of vital importance. It is my view that these corrections to the process has to be made today without delay. Mr. Lal wijenayake: 7000 at the village level. Around 9000 total no of politicians,. Now power devolution at provincial council level. to whom you are working for ? Are all these taking political decisions to develop the country. Already too many political parties which include 62 three wheeler parties. Will they ever establish their own govt. Who or what are you trying to destroy ? Your shangrila type, hypothetical paradise does not exist any where in the world. Ask anybody and everybody has a political opinion. when you talk about politics, you talk about peoples’s greed for material wealth and greed for power. Sri lanka is already politically very unstable. that is why corruption is in the open. Why don’t you give some examples of what you talk. IF this is all because you need employment, that is a pathetic attempt. Sri lanka is already politically very unstable. Like 13A or LLRC, PRC report was not accepted both Tamils and Sinhalese. New King Simple refused to accept the report as is is proposal to divide the country and imprison the war heroes. Lal was not able to tell that Tamil in the land can be protected only by leaving their land with them. Lal wrote a report to appease the IC, who was critical of Lankawe not implementing resolution 30/1. That is how he helped Ranil to win 34/1 so that he can buy times out and see Hangbangtota to China in exchange for UN veto. Leave this a personal talk between me and you: Two ways to stabilize Lankawe politics 1). One bring in more Chandrika’s & Old King’s thermobaric bombs cluster bombs, chemical bombs….. and wipe out the Tamils and thus force Sinhala Politician hands broken the election campaign. This makes them desperate but to start to put some developments projects to win the election. Otherwise they are going to forcefully employ Mahendran, Paskaralingam, Swamynathan, Karuna……. and keep their politics going. 2) Singapore Malaysia decision; One the Singapore go for a challenging growth, Mahathirs has to start to develop the country with 5% hook or crook ways. It is your pick. You are different from many other commentators. You one within the few who understand that Lal and Jehan PhD come when there is a need to white wash and justify the Yahapalanaya. Though Lal’s report was out rightly rejected by New King, Lal is concerned by the naïve method New King used to extend his term. It is interesting to note that in the North they(Politicians, academics, civil organization) prefer towards a federal constitution but in the South mainly politicians oppose to the federal constitution. Federal structure was originated from the South. It is also acknowledged that unitary structure which was existing for nearly seven decades discriminated the North East because they were not the same race as in the South or they don’t speak the same language as in the South or they were not belong the the same religion of that in the South. It is not only the view of the North East people but also agreed by the South political leadership such SWRDs Banda-Chelva Pact, Duley’s Dudley-Chelva pact, Indo-lanka- accord, Chandrika proposals and even Oslo accord accord and Mahinda Rajapakase all party proposals. We have to remember that there was no mass scale public opposition in the South to all these proposals. The opposition come only from few fundamentalists and those oppotunistic politicians using those fundamentalists. If federal constitution was adopted in the the 1978 constitution there would not have been a civil war. All the monies spent on the war would have been spent on the development of the nation without discrimination. The Sinhalese, Tamils and the Muslims would have understood each others better, lived without fear of each other and lived decent life. Enough saying that we must be like Singapore . Take all the pebbles thrown out and heap them together and reach the height of glory.. So; good leadership we have now is only JVP is the one ..
Makes sense but one of the main problems in SL is the cultural of impunity and corruption affecting most institutions. What we need is to find a way of finding and selecting young and different breed of political leaders. One way of achieving this goal is by bringing in term limits to elected political office and curtailing “extravagant perks and retirement incomes to “parliamentarians and “senators”; whatever the case may be. An honest and efficient judiciary together with an impartial law enforcement authority is also vital. Elected politicians should be paid handsomely but only by their presence during parliamentary sessions. What is needed is a practical change in political culture. This can be done. Reconciliation has to come at levels of the individual, not by decree or according to the whims of the elitists who think themselves as intellectuals. Again and again the pseudo argument comes up that the Federal level devolution is needed because discrimination of the minorities. But isn’t it so that majority of the Tamil speaking people live out side of the North and East? Then how does devolution of power at Federal level to North and East can address the inequality issues of the minorities, when majority of them live elsewhere? If there to be a Sri Lankan identity there cannot be provinces or regions where Sinhalese or Tamils or Muslims are excluded from. Sinhalese have to feel free to live in Jaffna just as Tamils need to feel free to live in Matara, until that happens there will not be a Sri Lankan identity. The majority of the Tamil people ( indigenous and Indian origin ) live in the North and East 52% compared to 48% outside the north and east and 80-90% of the Tamils living outside the north and east are the Indian origin estate Tamils who had lived there for centuries , as the British settled them there. You will also see that they are concentrated in the central highlands where they are a majority in certain districts and in greater Colombo for employment reason but will hardly find them anywhere else. However the majority of the Tamil speakers live outside the north and east . This is because 72% of the island’s Muslims live in the Sinhalese areas , despite being ethnically Tamil , they are not classified as Tamils but as Tamil speakers. The north and east, as well as the north west coast,t is the historic homeland of the Tamils and the Tamil Muslims . Especially the indigenous Tamils who had lived there for more than 2000 years and ruled these lands , until European colonisation and this has been recognised by all Sri Lankan governments and the international community. It does not matter if the majority of the island’s Tamil speakers now live outside the North and East due economic and other factors . Eg settlement and large scale immigration of Indian origin Tamils and Dravidian Tamil South Indian Muslims. The north and east is their land. Most of the Scots on the UK live outside Scotland , however this does not negate the Scottish claim for Scotland as their land and it is the same for the Tamils and Tamil Muslims. Your argument is weak. Individuals have a right to move where they like , however the state does not have the right to use force and all the resources of the state to settle a certain community in Tamil areas on ethnically cleansed Tamil lands to deliberately change the demography and make the Tamils a minority in their own land. Like what has now happened in the Trincomalee and Amparai district. Real Shankaran Shiva Rama: Tamils lived in sinhale for over 2000 years. but, Yapanaya Library needed books from Tamilnadu. Why Tamilnadu could not send those books written in sinhale but in tamil. A welcome your initiative.Constitution making should not be exclusively left in the hands of a few especially politicians. Luckily, after Feb 10th we won’t have to listen to this sort of nonsense. Who the devil will agree to a new Constitution with Presidential elections due next year? Two years time is very long for some people. Don’t dream that the world is going to end 2010. It is sure that within next two years, most of the Mahinda & co will be inside the wall and you may be begging in front of that jail. The Sinhala national movement is not made up of Mahinda and his clan. If Mahinda and his group is in prison then the others will continue to oppose the Federal movement. Don’t think that it is going to be stopped by imprisoning Mahinda. You mean that”the saga of S L crass politics” has no end? Lal wijenaike: Because of this none sense and greed of politicians and their ignorance, illiteracy, incomptency, Sri lanka is a politically very indisciplined country and very unstable country. that is why bribes, buying out are needed in order to keep it stable. but there are Konduru thel businessmen selling constitution who wants at the expense of the country want to earn a buck. They are very courageous and shameless people too. Unluckily we are listening to all sorts of nonsense since The Rising: Nugegoda Feb 18th 2015 days or in fact since early 1980s. Well that is reader’s Karma. Recall the unification of W&E Germany. Margret Thatcher was against unification fearing resurgence of Nazism. Against all such impediments unification went ahead and the result is there for us to see. Reunification of N&S Vietnam is yet another example – why the hell did US and allies stand in the way? What is the relevance of above? Federalism is easily understood but many simply refuse to understand it. Unfortunately this stand is one way the thick skulls get the votes. Federalism is NOT separation. Across the Strait it is the federal form which keeps the country unified. Take away the language/religion-divide and most of our politicians will suffer withdrawal symptoms – the opium they get us hooked. It is easy of you to say Fedaralism is not separatism. How do we trust you? Besides, if India was the paradise of Federal structure, why did it have to impose the infamous 16th constitutional amendment?